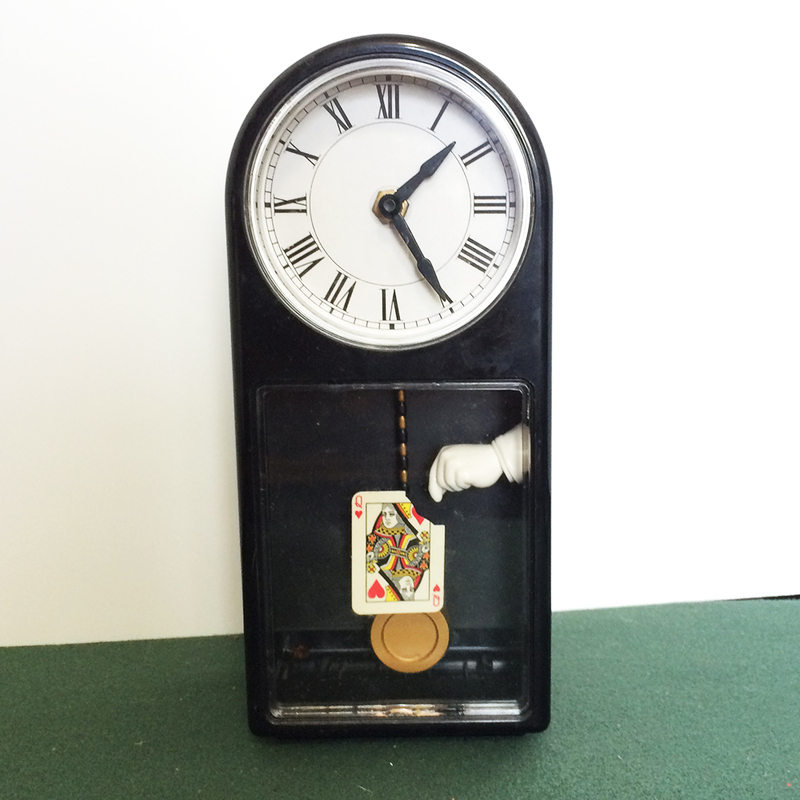 Mystery clock- card floats in front of moving pendulum! Mystery clock- card floats in front of the pendulum! Always wanted a Phantom Clock? In 1999, renowned Japanese magic company Tenyo Magic Co. marketed this limited run, collectible mystery clock. Invented by the clever Lubor Fiedler, this clock is really a puzzle. But between the front window and the pendulum is a playing card- seemingly floating in midair. It is a distance away from the front window. Yet, it can't be attached to the BACK of the clock, because the pendulum can be seen to swing between the card and the back of the case. So how does this work??!! THAT'S THE MYSTERY of the Phantom Clock! Even when you figure out how it works, it is still as amazing! CONDITION: This one is working and is in very good condition. The case does show some use (minor scratches and scuffs) but no major problems. NO BOX with this one. Clock is made of plastic. Click to see a larger photo of this Tenyo Lubor Fiedler Phantom Clock.